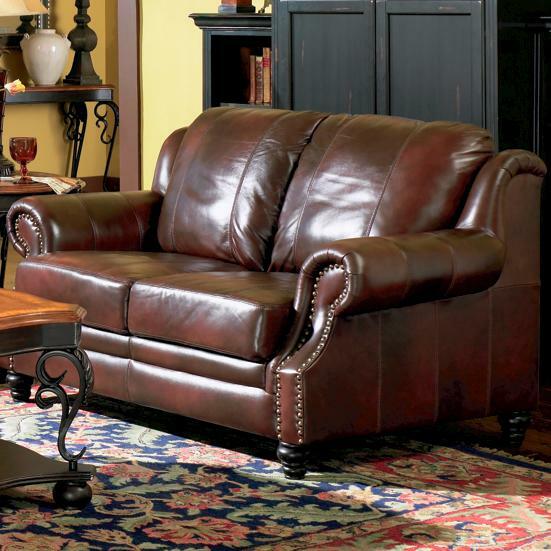 Bring additional seating into your living room, family room or den with this luxurious leather love seat. 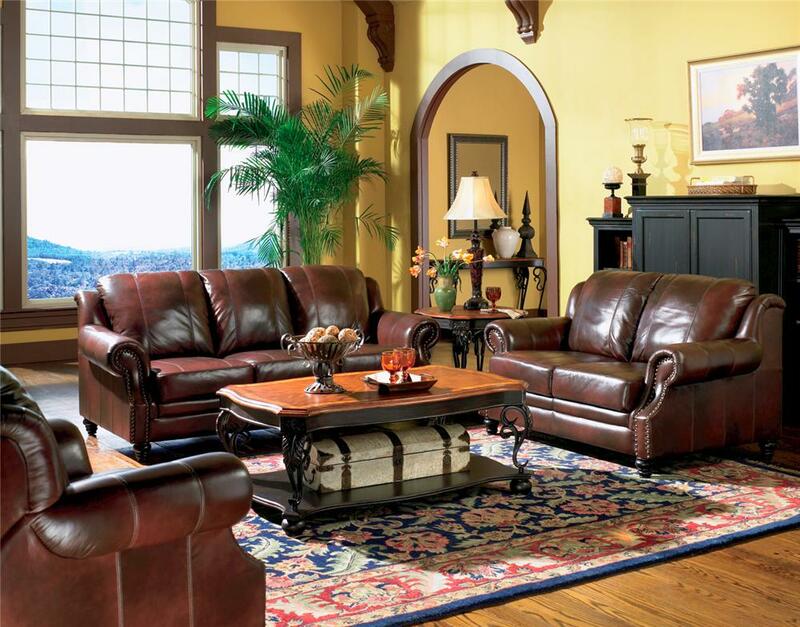 Bold rolled arms with nail head trim anchor the sides of two full seat cushions and two overstuffed back cushions, providing comfort and style. Exposed turned bun legs provide a slight lift, while the tri-tone burgundy colored leather brings a rich and warm vibe to the overall design. Spacious enough to share with a loved one, yet cozy enough to enjoy all on your own.